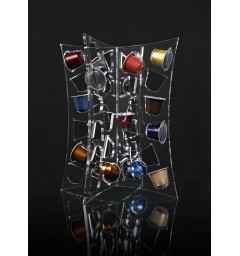 SOLDE NESPRESSOThere are 8 products. 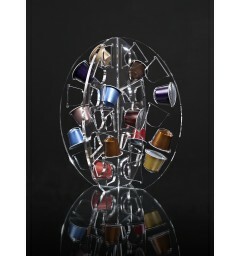 Beautiful transparent oval plexiglass holder for Nespresso® capsules. 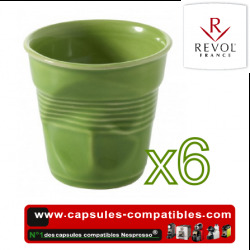 This support has a capacity of storage of 40 capsules with the advantage of being able to choose the capsule of its choice among all the capsules.This support is the ideal gift, trendy and original design. 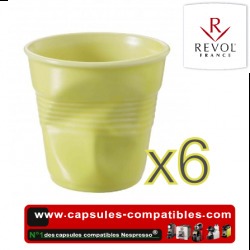 Realize a true full-bodied Espresso capsules compatible with Nespresso Black Barista House Terres de Café. And discover the finish a pleasant taste of bitter almonds.